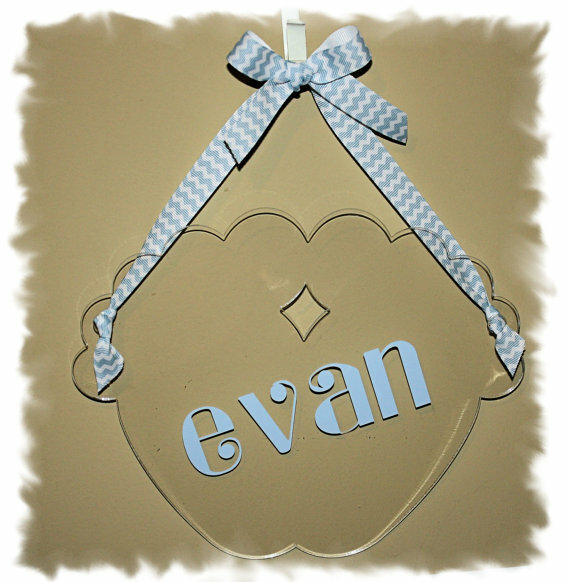 alamode: My Baby Arrival Hospital Door Signs! How stinking cute are these baby arrival footprint signs? I got one for baby m but I'll show you mine after she arrives! I love love love mine!!! Mendy from Make It Wonderful is so great to work with, and she even special ordered my baby pink chevron ribbon to make the sign for baby m just how I wanted it! I also ordered this super fun painted burlap stork for the front door to celebrate baby m's arrival! This is not mine, I ordered mine with M's name on the banner and in pink of course! I'll show it to you when it is actually up on the door! Mr. Stork arrived last week and is SOOOO CUTE!! 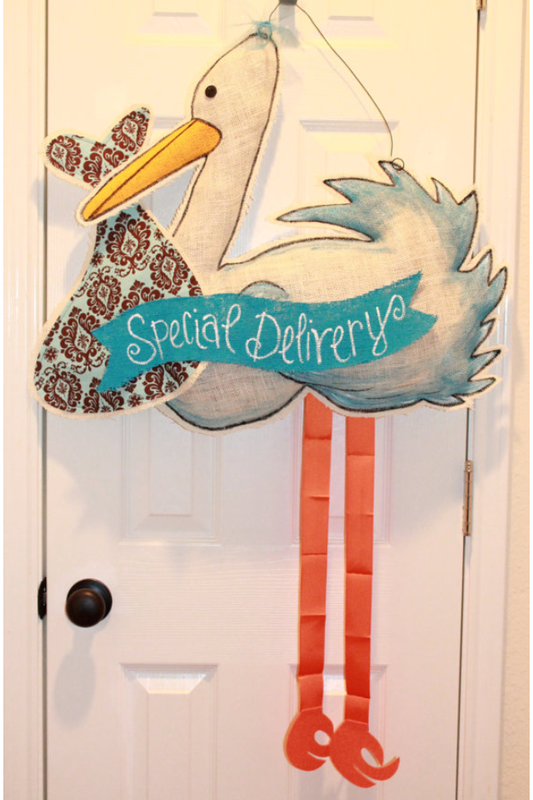 Jenny from CutePieThis is so easy to work with as well, and will make your stork just how you want it! I chose a pink/hot pink houndstooth fabric for my stork and she went out and found the fabric for me! !